Located in Kennesaw, Children’s at Town Center Outpatient Care Center provides access to pediatric specialists in audiology, endocrinology, ENT, general surgery, nephrology, orthopaedics, rehabilitation and more. At Children’s Physician Group, our team of pediatric specialists treats kids and teens who have a range of allergies and immunodeficiency disorders. Our office is located on the second floor. Clinic visits are by appointment only. The Children's Physician Group endocrinology team provides clinical, diagnostic and lab services for the evaluation and treatment of diabetes and other endocrine disorders. 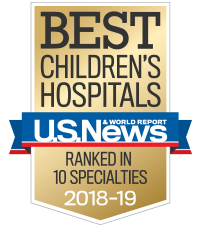 At Children’s Physician Group, our team offers comprehensive services, including evaluation, diagnosis, management and treatment for children with a wide range of conditions, from reflux to IBD. At Children's Physician Group, our team of pediatric trained nephrologists treats children and teens who have a broad range of kidney problems—from common to complex. Children’s Physician Group–Orthopaedics and Sports Medicine treats patients with a wide range of orthopaedic conditions and sports-related injuries. From casting broken bones to performing spine surgery, our team understands how to treat the growing bodies of children and young adults. Clinic visits are by appointment only. This location has STARscanner technology available. By appointment only. Monday: 8:30 a.m. to 5 p.m. Tuesday to Thursday: 8:00 a.m. to 5 p.m. Friday: 8:00 a.m. to 3 p.m. The Children’s Physician Group ENT (ear, nose and throat) team offers comprehensive services, including evaluation, diagnosis, management and treatment of children with a variety of disorders of the ears, nose, throat, and related structures of the head and neck. The Children's Physician Group pulmonology team provides comprehensive services and therapies to children and teens who have a wide range of respiratory problems, including high-risk asthma. Mon.-Thurs. : 10 a.m. to 8 p.m.